As u can see from the pics, Nokia X1-01 has an excellent build quality. The more interesting hardware components include the Micro SD slot and media keys on the side, On the top: A torch, 3.5mm Headphone Jack, Charging port, and at the back we have the 2 SIM card slots and the large capacity battery. I can tell you so far that it feels great at hand and you wouldnt be alarmed if it fell or something. 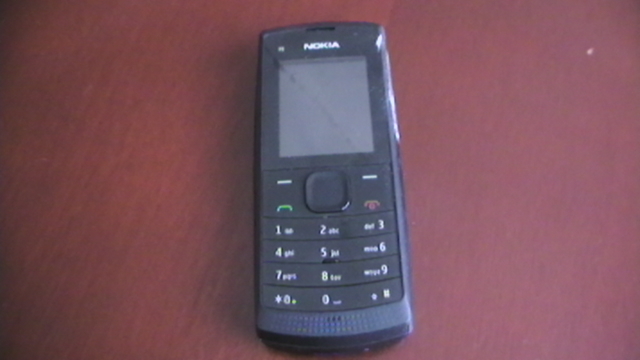 This is the standby mode of the Nokia X1-01. As you can see clearly the 2 signal bars of the Network Operators, Battery Capacity bar, Time Date and the Menu button. Nokia X1-01 Menu option comes with a refreshed User Interface that comes with new icons that look preety good. As for functionality, it hasn’t changed a bit so if you have used a Nokia phone before it wont be hard to navigate and it is still simple for the newbies. Let me concentrate on the very interesting functionality Nokia has added to this Budget phone.. An MP3 player And a Really loudspeaker. According to Nokia, the X1-01 will be priced around €34 which is around Kshs 4000. The X1-01 is really poised to help Nokia get their footing in the Dual SIM market which is becoming intense by the day and it is a sure winner!